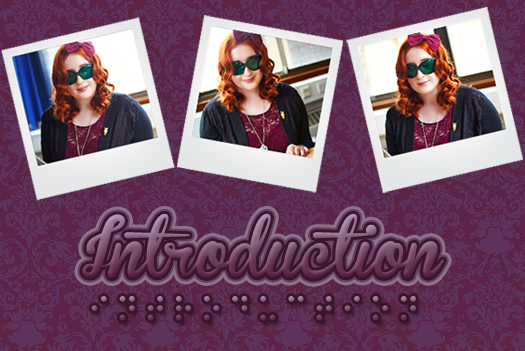 detailing my sight loss journey! This will be the place where I post about my illustrations as a severely visually impaired artist, my Guide Dog training and qualification process, campaigning work with Envision, volunteering and fundraising work with Henshaws and Guide Dogs, Braille progress, mobility sessions with a long cane, weekly trips to Henshaws in their various groups and courses, accessible visits to museums and art galleries and upcoming events. I created my blog in October 2013 through Blogger, partnered with Google+, as I already had an existing account and found it to be rather easy and accessible to use with the VoiceOver functionality built-in to my MacBook and iPad. Since starting my blog I have amassed over 170 blog posts and 20,000 unique page views. I've worked very hard to ensure my blog is as accessible as possible to other blind and partially sighted visitors reading my stories; using large bolded text, contrasting colours of a light font on a darker background, and alt text (wherever I possibly can) to describe any images used. Due to my blog being hosted by Blogger, some accessibility issues may be beyond my control. If you do have any problems please don't hesitate to contact me via the links located in the left-hand column, and I will try my very best to rectify the coding as soon as I can. I hope my posts will provide an enjoyable and interesting read. a severely sight-impaired illustrator from Manchester. I'm currently studying my Illustration Degree (BA Hons) at Leeds College of Art, where I'm a Student Governor, Student Ambassador and Student Representative. This is the place where I'll be posting about my sight loss journey; from training with my Guide Dog, Tami, to my illustrations as a blind artist, accessible visits to museums and art galleries and campaigning work with various sight-loss charities. I hope my posts provide an enjoyable and insightful read! Photographs are mine (and free to use) unless otherwise stated, in which case they are fully credited to their respective owners. Best viewed in Safari running OS X El Capitan 10.11.5. Optimised for mobile and tablet use. Fully Accessible; tested and approved with VoiceOver, JAWS and SuperNova.